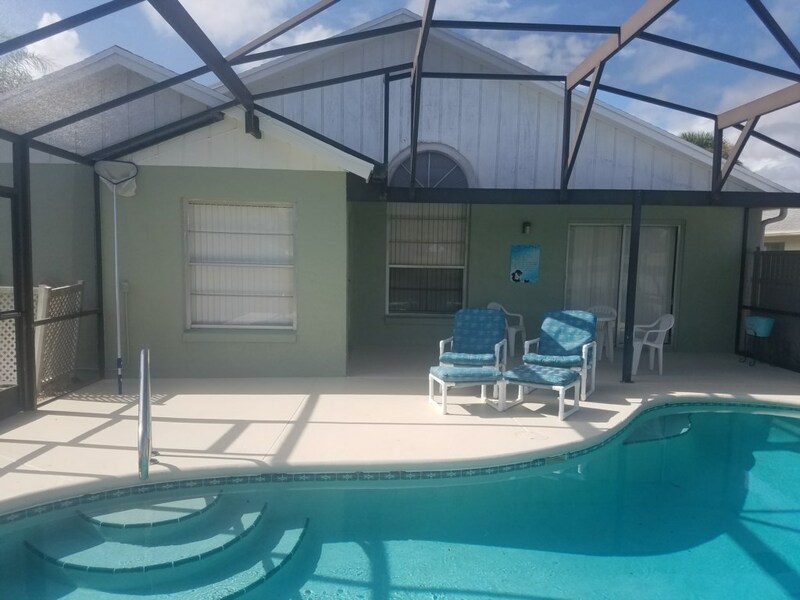 This three bedroom home is just what your family needs for that memorable vacation in Central Florida. Sleeps up to eight in your party. It has a King, Full, (2) Twin size beds and a sleeper sofa in the living room. 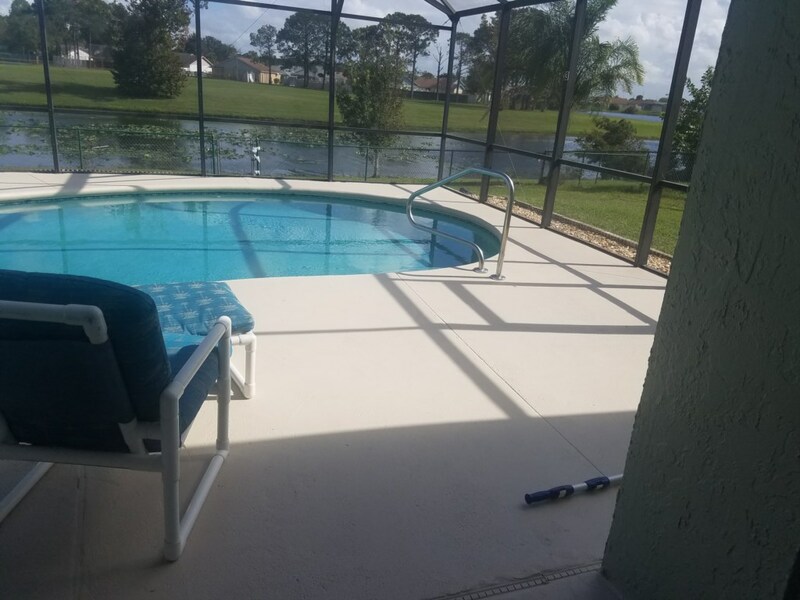 This home is located in Indian Wells which is located literally five minutes from the gates of the Disney parks. 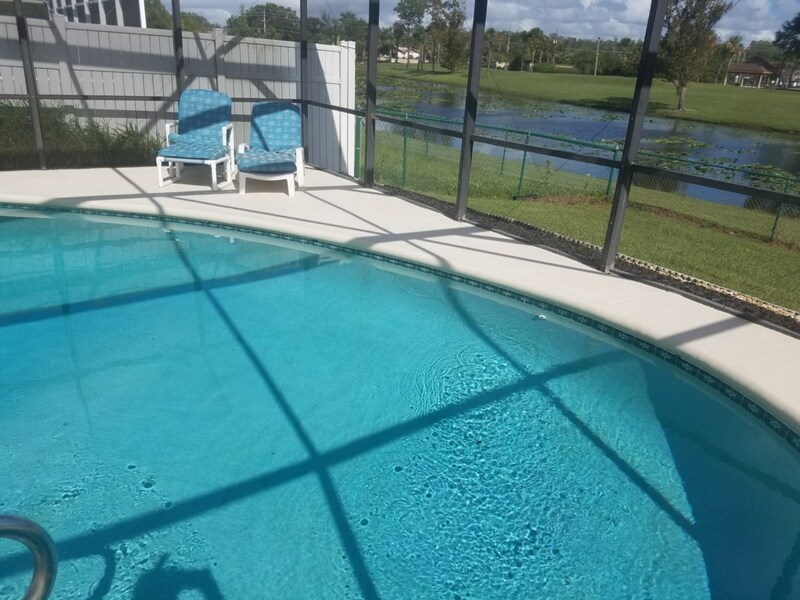 The privacy fence provides the seclusion you deserve to enjoy your private pool to the max! 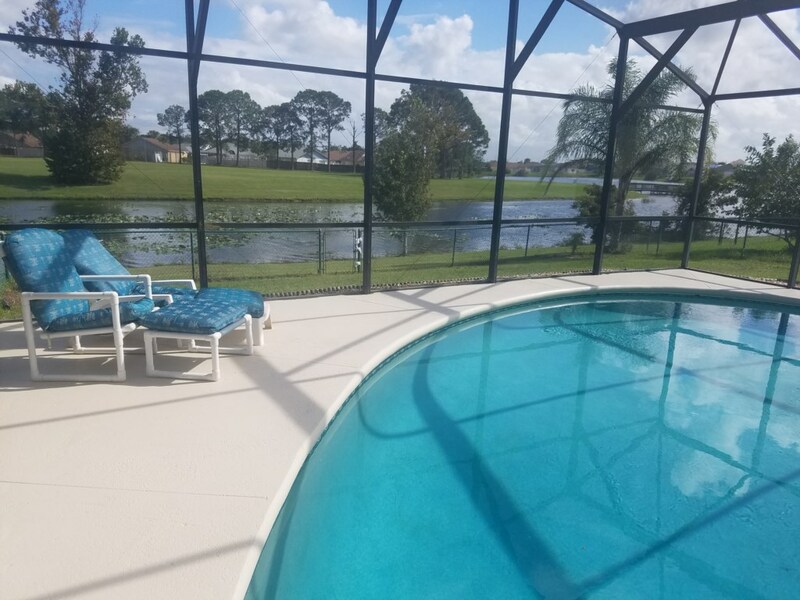 The community offers a large swimming pool, tennis courts, basketball courts, playground, secluded walking area and fishing. Indian Wells is conveniently located off SR 535 which places you near shopping, restaurants, and championship golf. Hassle-free check in and check out for your convenience . 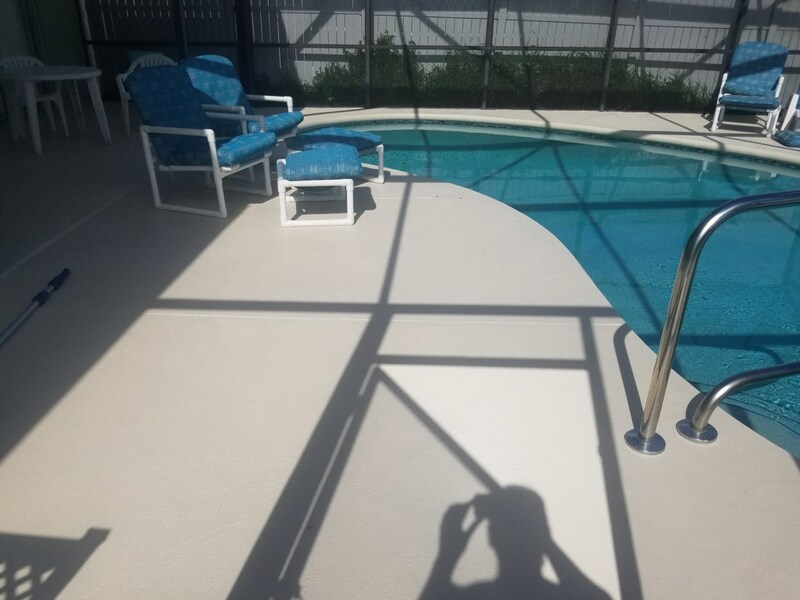 Sparkling Private Screen Enclosed Swimming Pool Comfortably Air Conditioned. Fenced Yards. Fully Equipped Kitchens with microwave, blender, toaster, coffee maker. Supply of linens and towels for your use . High Speed Wireless Internet is available, Cable TV, TV in Master Bedroom. Private Telephone with complimentary local and toll free calls . Washer and , Crib or Pack & Play and High Chair Provided.